What is an Arkansas Month to Month Lease Agreement? 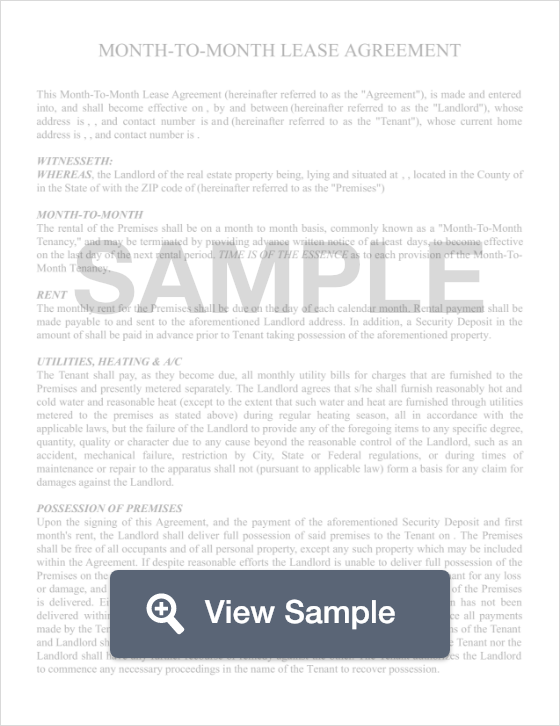 Arkansas Month to Month Lease Agreement: What Is It? In Arkansas, a month to month lease agreement is a legal contract between a tenant and a landlord who come to a mutual agreement on the terms of a tenant renting a property or unit for a short period of time. In this case, a month to month agreement details the terms of a tenant staying in the rental for a period of one month. These types of contracts are common, especially after the expiration of long term lease contracts and will renew automatically at the beginning of each month if not canceled by either party. Though a month to month lease contract is short term, its terms must still be followed by both parties. Failure to comply with the terms of a month to month lease may result in financial reparations being paid to the damaged party. Arkansas law dictates that the tenant must vacate the rental property on or before the termination date. In order to terminate the contract, the tenant or landlord must end the contract with a written notice at least 30 days before the agreement is set to renew. If the lessee is not in good standing with the landlord and stays in the residence past the termination date, the landlord may pursue the lessee for his or her attorney’s fees. In addition, Arkansas law allows a landlord to pursue the tenant in court for the equivalent of three (3) month’s rent or twice the actual damages sustained by the landlord (whichever amount is greater).